This year has seen numerous email scams conducted to gain access to the tax information of employees; however, recently, criminals have started picking up the phone to conduct their scams. Phone scams have spiked in recent weeks, with criminals impersonating Department of Health and Human Services’ employees, including the Office of Inspector General (OIG). The rise in phone scams has prompted OIG to issue a warning. Scammers have been pretending to be from the OIG claiming individuals are eligible to receive a government grant. While this would likely arouse suspicion, in this case the caller ID displays the number 1-800-447-8477 (1-800-HHS-TIPS). The number is the OIG hotline number for reporting potential incidences of fraud. The scammers tell individuals they are eligible to receive government grant money as a result of paying their taxes on time. However, in order to qualify for the grant, it is first necessary to confirm an individual’s identity. The attackers ask the individual to confirm their name and Social Security number or bank account number and other personal information. Individuals are also told they need to pay a fee to cover processing costs for issuing the grant. 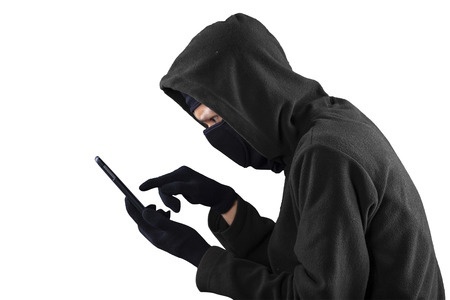 The scammers pocket the payments and use the data collected during the phone calls for a range of nefarious purposes, including gaining access to bank accounts to make fraudulent transfers. One woman was asked to make a transfer of $250 to cover fees related to a grant of $9,000. The fees had to be wired via Western Union, or alternatively she could provide a confirmation code for an iTunes Gift Card for $250. In that case, suspicions were aroused and the woman ended the call. However, OIG says, not without first confirming her identity and providing information that could potentially allow her bank account to be accessed. OIG says the criminals have already placed thousands of calls, which in some cases has resulted in individuals sending money to the scammers. This scam came to light in February when OIG first started receiving calls questioning the validity of the offer. Since the OIG hotline number appeared to have been used, an investigation was launched to determine whether any OIG systems had been breached. The investigation confirmed that the phone number had been spoofed. OIG is continuing to investigate the scams and is working with Verizon Communications to prevent its hotline number from being spoofed again. OIG says two individuals are being investigated in relation to the scam and one criminal case is proceeding. While this scam used the OIG number, other scams have spoofed other HHS agency numbers. Other HHS agencies have also been impersonated and different official numbers spoofed. The callers claim to work for the Federal Grants Department or some variation along that theme. OIG says cybercriminals are able to spoof any legitimate number. OIG notes that the hotline number is never used to make outgoing calls and that the federal government will never make unsolicited phone calls. OIG says no one should give out or confirm their date of birth, Social Security number, credit or bank account information, mother’s maiden name or other sensitive information to unknown individuals over the telephone, even if callers sound authoritative.